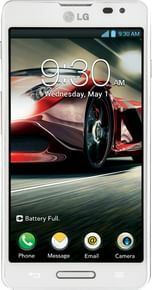 LG Optimus F7 is currently not available in any stores. Watch your favourite video songs and movies in video player. It supports DivX, MP4, H.264, H.263, WMV file types. MWC 2013 New midrange handset from LG packs 4G speed and 4.7-inch display but won't win any design awards.